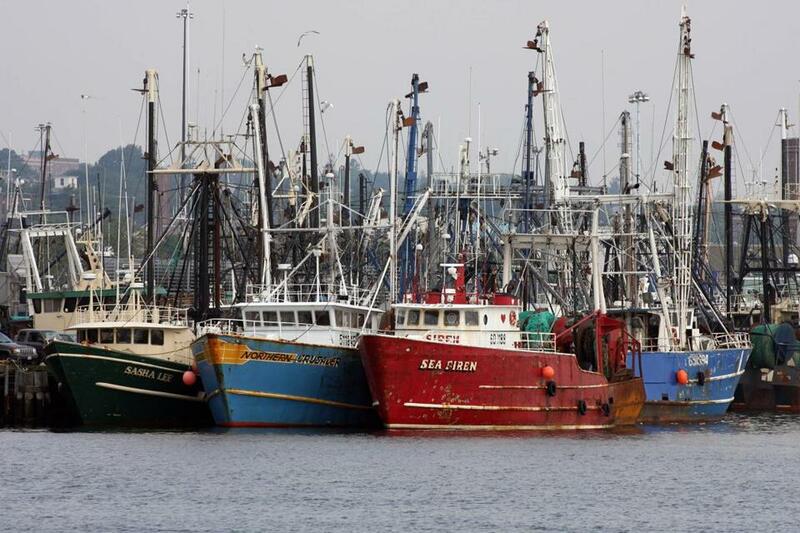 The State Pier in New Bedford would be home to not just fishing boats but shops and restaurants under a bill that lawmakers approved. It doesn’t feel much like Christmas outside, but they were handing out gifts like Santa Claus on Beacon Hill. In the wee hours on Wednesday morning, lawmakers passed a wide-ranging economic development bill before wrapping up their formal sessions for the year. The bill authorizes nearly $1.2 billion in bonding over several years, but it’s up to the state administration to prioritize these things within the state’s debt limits. Here’s just a sample of what’s under the tree. ■ Noncompete agreements: After multiple unsuccessful attempts, Senator Will Brownsberger, Representative Lori Ehrlich, and other lawmakers were able to put new limits in place on noncompete contracts, which employers use to prevent workers from jumping to a competitor or starting a rival venture. The measure limits noncompetes to one year in length in most instances and bans them for lower-wage workers. It also requires that workers receive some compensation during the noncompete period. Venture capitalists weren’t happy; they said this is a half-measure that will do little to make us competitive with California, where noncompetes are essentially banned. ■ Patent trolls: Massachusetts would join the 30-plus states with laws aimed at deterring so-called patent trolls — individuals or firms that make patent claims against businesses just to turn a quick buck. Senator Eric Lesser wrote a modified version this year in an effort to ensure it curbs only bad actors. But those revisions might not be enough: Several prominent business groups are raising concerns the measure will make it harder for legitimate patent holders to challenge infringers, by forcing them to go to court. ■ Local infrastructure subsidies: The Baker administration pumps millions of dollars of borrowed state funds into the economies of cities and towns through the MassWorks program. This bill authorizes another $250 million. The most prominent MassWorks-backed project: the ongoing renovation of two brick buildings in Fort Point for General Electric’s headquarters. More typically, the state aid is used for smaller road and sewer improvements aimed at spurring development. ■ Local earmarks: These are individual items that lawmakers tucked into spending bills for projects back home — $538 million of them this year. Many won’t happen, as they still need approval by the Baker administration. But getting those measures into the bond bill gives a senator or a rep bragging rights back in the district. Examples range from $12 million for parking infrastructure in downtown Taunton to $50,000 for an artists market in Concord. ■ Waterfronts: The cruise terminal in South Boston will get $100 million for a makeover to help the Massachusetts Port Authority attract and accommodate more ships. Senator Nick Collins successfully pushed for language aimed at limiting the fumes as ships idle. Meanwhile, the bond bill allows a portion of the State Pier in New Bedford to be used for nonindustrial uses, such as shops and restaurants. And the bill authorizes $50 million to help cities and towns pay for dredging projects. ■ Theaters: Several theaters — including in Hyde Park, Medford, New Bedford, and Holyoke — would benefit from local earmarks. But the bill did not include a measure floated by the House to create $5 million in annual tax credits for Broadway-bound shows and national tour debuts. Lawmakers couldn’t reach consensus on this tax-credit proposal, in part because of its similarity to the already controversial film tax credits. ■ Main streets: Modest tax-credit programs had better luck, such as a $500,000 annual allocation to help retailers and restaurateurs set up shop in vacant storefronts in key downtown areas. ■ Apprenticeships: Another new program would provide up to $2.5 million a year to help employers pay for apprentices in certain computer or health care-related jobs, or at manufacturers. ■ Sales tax holiday: Consumers will get to shop free of sales taxes on Aug. 11 and 12, after two years without a tax holiday. (The holiday becomes permanent starting next year, thanks to another new law.) Christmas won’t really be here for another five months. But it’s never too early to start shopping.